Expore Nepal with car rental in Nepal which can give a new experience and it is one reason that people spent the vacation at such beautiful place. Vacations are always memorable in one’s life and it is through pictures which are clicked at this beautiful Himalayas. It has very beautiful monuments all over the city which are really worth watching. But to visit all these monuments you would surely require a car for traveling. Nepal taxi rental services are best when it is about sightseeing in Nepal. They give away car on rent for the people who visit Nepal and wish to travel all around the city. There is number of cars with Fab Cab and it solely depends on you to select a car from them depending on your requirement and style. They also offer you an additional driver depending on the situation. They have a well-maintained car for your service. 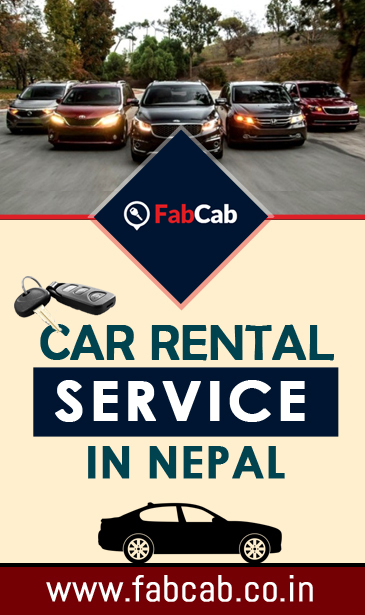 What makes Nepal car rentals by FABCAB special? Nepal car rentals are for those people who are looking to have memorable moments of life with family and friends can visit Bhutan . It is a place which has beautiful temples, landscapes and much more which are worth watching. If you are looking for a reliable cab rental services, then you have reached the right platform. Fab Cab is the renowned name which is known for best Bhutan taxi rental services. We ensure you that our cab service would undoubtedly add in the most valued experiences of your life. It offers the free quote of the service which will help you to know the budget of the car and you can choose accordingly. It offers the online check-in facility through which you can provide the details of the driver and its license number prior arriving in Nepal. This helps you to save your time and get rid of all formalities. Chauffer’s have knowledge of different languages which makes it easy for communication. People who wish to tour places in Nepal or any other nearby places then Nepal car hire services will prove very useful. People who wish to tour places after Nepal can explore Sikkim, Darjeeling, Bhutan and Siliguri, as they are close to Nepal. They offer special discounts for some occasion. So, you can grab the chance and get the car at a lower rate. Online services while going for car rental in Nepal can make all proceedings very easy. Thus traveling by Fab Cab will prove enjoyable for all. They always bring changes according to the real world and thus makes customers comfortable in all situations.